IrisPen Air 7 is one the best highlighter that help you to scan any kinds of books or text will automatically retyped into the your computer & it has the great feature text-to-speech technology which enable you to listen the text audio. Rechargable battery 5h of battery autonomy. 138 languages recognized on cloud server. Its reads out loud and translates. Perfect device for teacher, student & visually imapired people. For more information please checkout their website. I have tried for days to get this to work on a windows 10 PC and on my Android. It will not connect to the USB via cable nor bluetooth. The box was accidently thrown away so I can't return it.Would you like to help me to solve this problem? Totally great, I love this PEN, make me want to study more about programming xD. I wish they could read programming languages. I think this is a best product for learning languages IRISPen Air 7 have the ability to recognize the language and translate into other language and can read one language and we can use this product according to our desire .The battery timing is good and it can be connected with Bluetooth. 3 features (scan, read, translate) in one pen makes this pen very valuable. And it can translate in 138 languages which is really impressive. 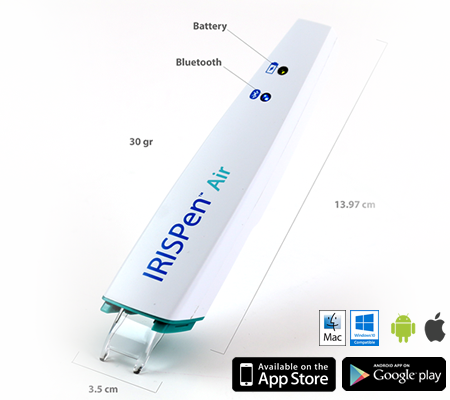 Wow IrisPen Air 7 will help student's work easily and quickly. Translating some languages via this device is very fun. It can work for 5 hours. With a feature of 138 languages and 5h battery time, this multi-functional pen is very cool hunt. This product is going to help a lot to the students in particular. Excellent piece of work. wow..! amazing item. i think can study english & others more efficiency by using this. i have to search this item for buying soon. Thank you! Portable, easy to scans any book,we edit it easily in PC. I like this pen. It can recognize many languages and read out loud. Awesome product. Wow, this is so convenient. All you need is to scan and then it translates into your computer so quickly. Save a lot of time. Thank you for the hunt. 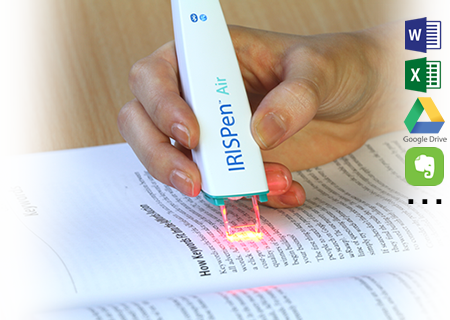 You can scan IRISPen Air 7 books. A great product for blind people. There are 138 language recognition features. The charge is going long. Reads books aloud. Advanced innovation makes it easy for us to make something, like this amazing product that has just been released, namely ChrisPen Air 7. IrisPen Air 7 is the first and best highlighter that can help us to scan or move various types of books or text into our computer automatically without having to retype it as we did first. this is very useful for the smooth running of our work. Moreover, in addition to the great features, text-to-speech technology that allows us to listen to audio text, I think we all must immediately have this magical highlighter. 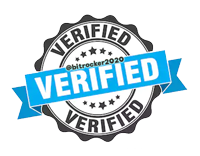 This is a great hunt, thank you for sharing. 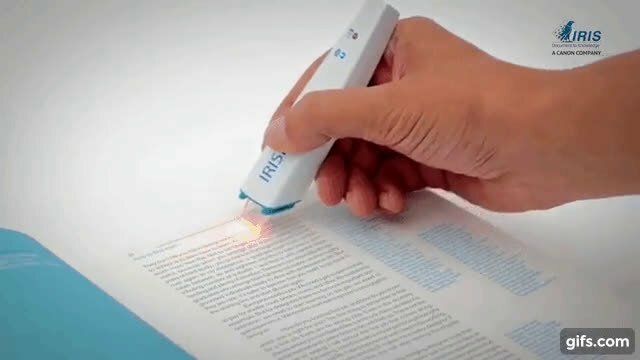 It's very unique and very perfect highlighter to scan, read and translate. It is very useful technology and device for teachers and students and has many great features. This will more useful if they can improve it to scan more text at one time(like scanning 1 page at one time). The price is a bit expensive from my opinion($149). It gives us the possibility to quickly and easily transcribe our favorite books and documents that we need. A totally different way of scanning practices and out of the ordinary. This could really help students, researchers, lawyers, and others who find themselves reading a lot of materials in their daily work. Wish I had one back when I was studying for exams. 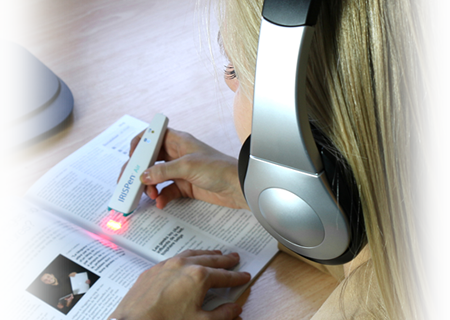 Scan, read and translate in one pen makes the reading experience very exciting. It's very good hunt. I would like to have one. WOW...someone has finally come up with a product that allows multitasking specially during research tasks. I wish I had this while I was involved in reading research papers. Without a doubt, my favorite hunt of the day. Rechargable battery 5 hours of battery autonomy. 138 languages recognized on cloud servers. It is read out loud and translated. The perfect device for teachers, students & programmable visual people. Very useful for students or someone who wants to read an article or something but doesnt understand the language. Great hunt @raghwendra! Improves reading people. That's why we have to read a lot. Some people are hard to read because they can't see. A great product to help them. Irispen Air 7 lookslike a great product as a "pen" but it is not a single pen with its features. Perfect hunt. Language can no longer be a barrier. If you use this product, you can easily interpret the meaning of language anywhere. It seems that the translation has been improved effectively only after input by smartphone. It's great. You can listen to the book you want and get your notes. You can use it very easily without any difficulty. It works with laser light. A really useful tool especially for those who love to read books and record down notes instead of writing them down which is usually very time consuming. But on the contrary, it would be more useful if the device would be able to scan a wider surface. Such a magnificent product to make the learning and typing easy. It is quite helpful for all those researchers and students who usually do their thesis by reading lot of journals and books. Amazing invent :) I must have it!